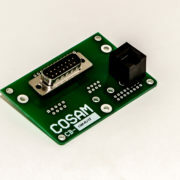 Cosam Industries is now offering 26 Pin interconnect cables. Each three foot cable can be cut in half to create 2 separate interconnect cables. Simply attach by soldering, crimping or screwing each connector pin to one of the cut wires on the interconnect cable and you have a custom connector for your cable. Interconnect cables are the most cost effective way to create custom connectors for your specific cable.